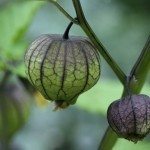 How long does it take for tomatillo to fruit once it begins to flower? It shouldn't take too long, maybe within a couple weeks. These plants are great teasers. They may go a while with no set fruit and then suddenly, when you have nearly given up on them, they will produce an abundance of fruit. If you still don't see anything within a few weeks or so, you may have an issue with poor pollination, which can be corrected by encouraging additional pollinators to the area or hand pollinating plants. Also, it helps to have two plants.